Samsung’s new Galaxy A80 is a presentation of ridiculous concepts that look very pretty. On paper, the specs of the phone are standard enough, with a 6.7-inch Full HD+ (1080×2400) Super AMOLED (dubbed a New Infinity Display), 8 GB RAM, a 128 GB of storage, and a mid-range Snapdragon processor. Samsung even includes an in-display fingerprint scanner. But with this phone, it’s what on the outside that counts. It’s a little reminiscent of “battle damage” toys that spin to show more destruction. And if you’re thinking, “how long before it breaks?” that’s the first question everyone asked, but Samsung didn’t provide any statistics to answer that question. This setup comes does with an immediate benefit; usually, phone manufacturers relegate UltraWide and ToF cameras to just selfies or just standard photos. With the ability to flip directions, you’ll get to use the full capabilities in every mode. 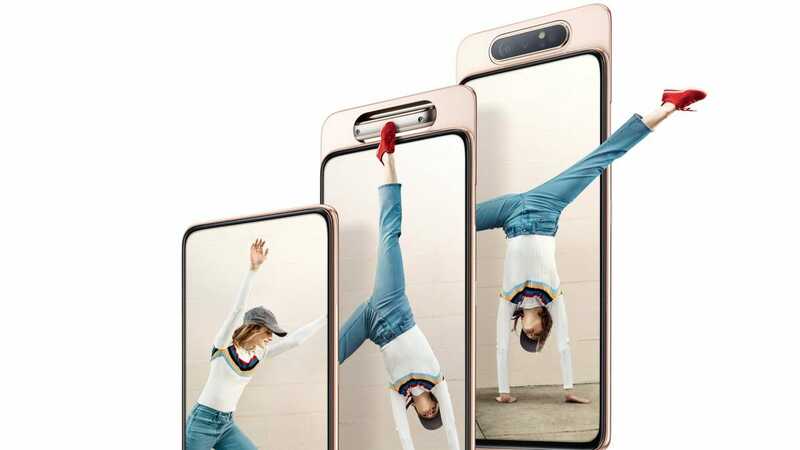 To round out the ridiculousness, the Galaxy A80 comes in three wildly named colors: Angel Gold, Ghost White, and Phantom Black. Unfortunately, you’ll have stay tuned for pricing and carrier info. If you have a new drone, you’re probably champing at the bit to take it out on a few excursions. But before you do, stock up on some accessories to make that trip in the wild blue yonder all the sweeter.